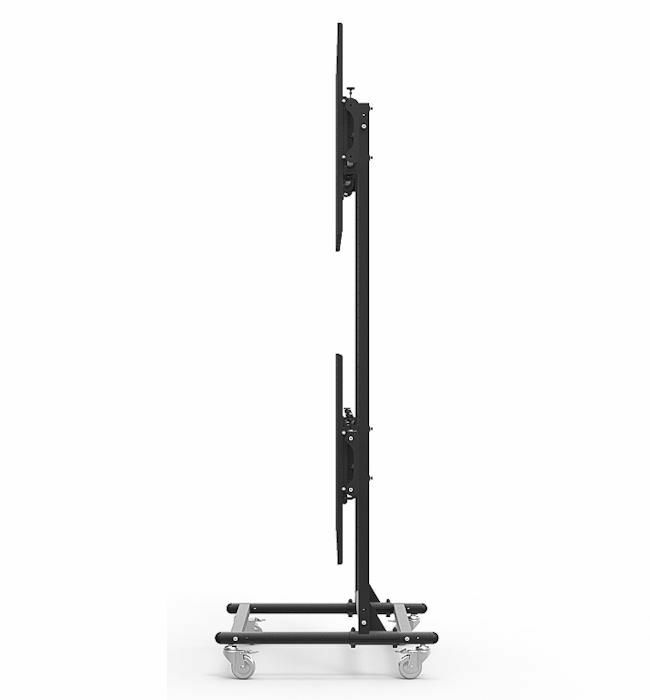 Our new 32 to 56" 3X2 Video Wall Mount w/ Wheels - Micro Adjustable makes it possible to create video walls in prominent locations for temporary or permanent use. 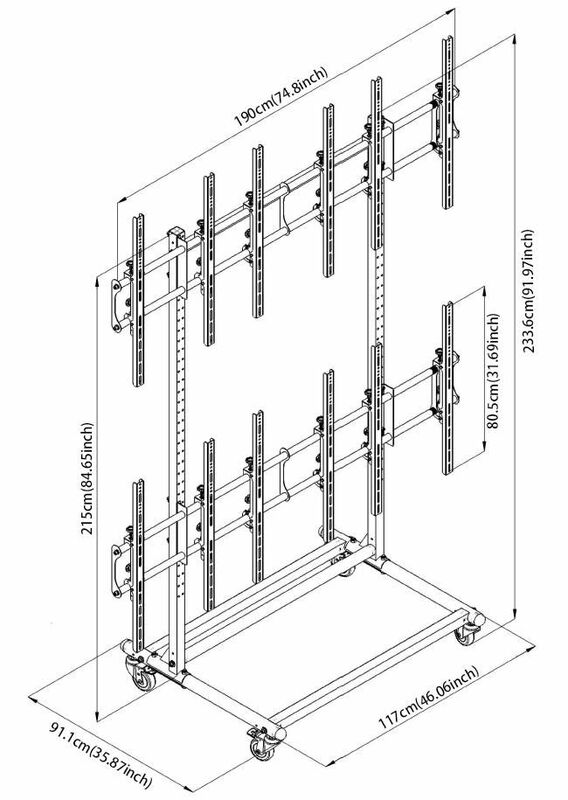 With sturdy vertical and horizontal supports, this modular three-by-two video wall cart/stand has a weight capacity of 110 lb for each screen. 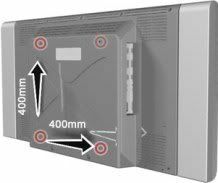 Fine-tune alignment of each display brings together a perfect picture for beautiful digital presentation. 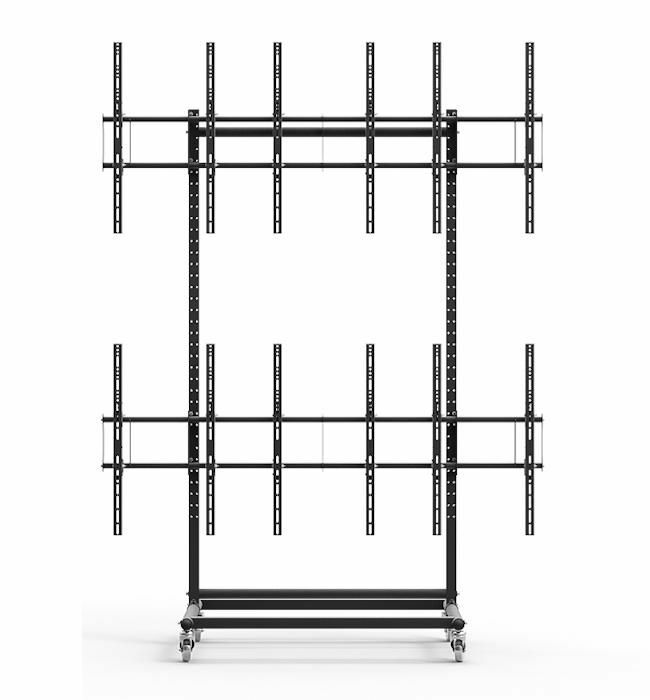 This easy to assemble and cost effective solution is ideal for dynamic digital signage, information display, rental, staging, retail, corporate, entertainment and command & control applications.